After fourth-grade students at Thorpe Creek Elementary read a novel about the world water crisis, they decided to raise awareness. Teacher Jackie Renick said her students have been inspired by the novel “A Long Walk to Water” by Linda Sue Park. She said students were captivated by the true story of Salva Dut, a boy from the Dinka Tribe in Africa who had to walk miles for water. Dut would later start an organization called Water for South Sudan, which raises funds to build wells in that nation. 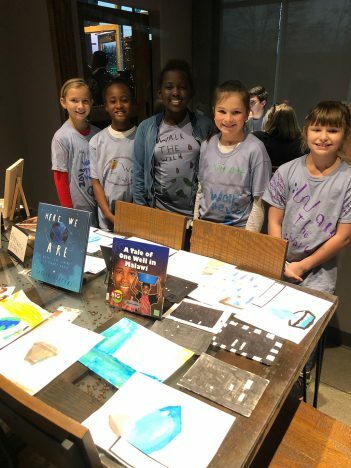 Renick’s class played host to a Dec. 10 event called “Walk the Walk – A Night at The Well,” at The Well Coffeehouse in Fishers to spread awareness about the global water crisis. Renick said the event was planned and conducted by her students. “As a teacher I have been able to just sit back and watch and let them go with it, and it is incredibly rewarding,” she said. Renick said she wants the community to know more about the global water crisis. Renick said she her students have a passion for taking ownership and making positive changes.